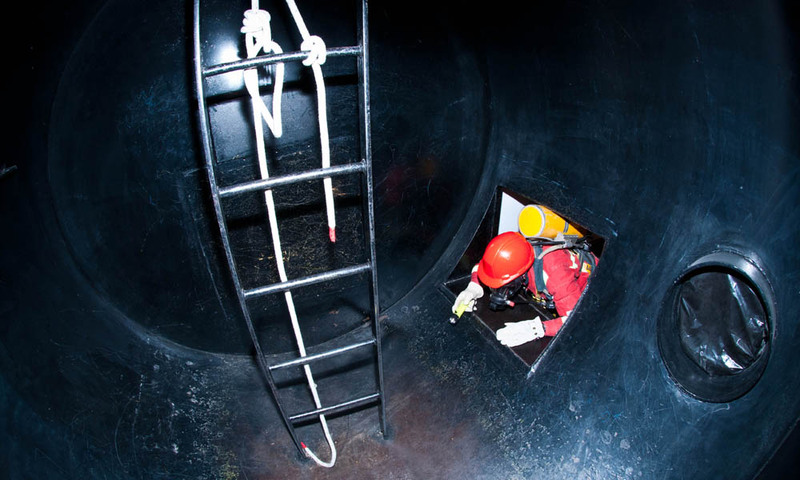 This two-day program is an introduction to elevated rescue techniques used in industrial settings. It begins with developing an understanding of the strengths and weaknesses of various tools and equipment used in the high angle environment, and then moves onto the mastery of the current knots and hitches that make these rigging systems work. All elevated rope work in this program will be based on single line systems. The program includes classroom theory and practical exercises. General rigging principles, i.e. stretcher lashing, anchoring, belaying, rappelling, lowering, self-rescue. Basics of mechanical advantage developed with ropes and pulleys.